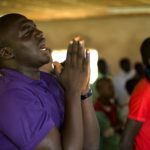 A church-run camp for displaced people in south-eastern Central African Republic was attacked on Tuesday, 4 December, less than three weeks after 60 people, including two priests, were killed in an attack on another camp. Tuesday’s attack took place in the town of Ippy, which is 200km north of the camp in Alindao targeted last month. 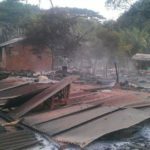 Catholic news agency Fides reported that “at present the number of victims is not known” but that at least three people, including two children, were injured. Both attacks are believed to have been carried out by the same group, the UPC (Unité pour la Paix en Centrafrique), which formed after the Séléka coalition (which took power in March 2013), was disbanded. 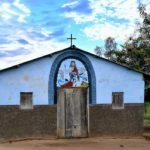 Tuesday’s attack reportedly began at around 10am, when, according to Fides, “displaced men, women and children who had gathered for safety around the church of Saint Xavier” were “forced to seek shelter in the bush, under fire by UPC combatants”. 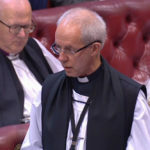 Fides added that the president of the peace committee in Ippy, Fr. Roger Stanislas Djamawa, decried that Central Africans were being “left to their plight”. 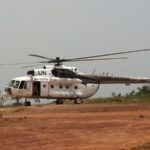 UN forces were also blamed following the attack in Alindao last month, and after previous attacks in Gambo, in August 2017, Zemio, in September 2017, and Bocaranga, also in September 2017. The UN has always denied any wrongdoing by its peacekeepers.